Taking part in the groundbreaking at Beard Equipment Company’s new Ocala, Fla., facility (L-R) are Chris Wood, sales manager, Beard Equipment Company; Stan Salser, Salser Construction, Ocala; Gilbert Martinez, facility architect at Martinez Architecture, Ocala; Drew DeLaney, president, Beard Equipment; Ocala Mayor Kent Guinn; John Dodson, Beard COO; Steve Ausley and Aimee Johnson of Ausley Construction, Ocala; Gary Coffman, Beard Equipment; and Terry Forth, Ausley Construction. 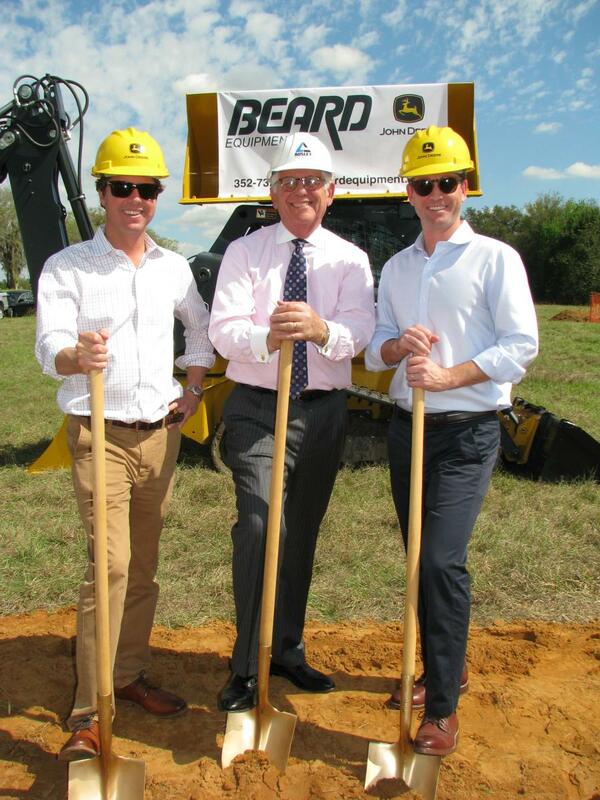 Beard Equipment Company held a groundbreaking ceremony for its new Ocala, Fla., dealership Feb. 28. Beard has contracted the design-build with Ausley Construction of Ocala for the new facility, which will have more than 48,000 sq. ft. under its roof and occupy 10 acres along Interstate 75, just north and west of the recently built Chewy/FedEx facilities. Salser Construction of Ocala will begin site development immediately, and the move-in date is projected for early 2020. 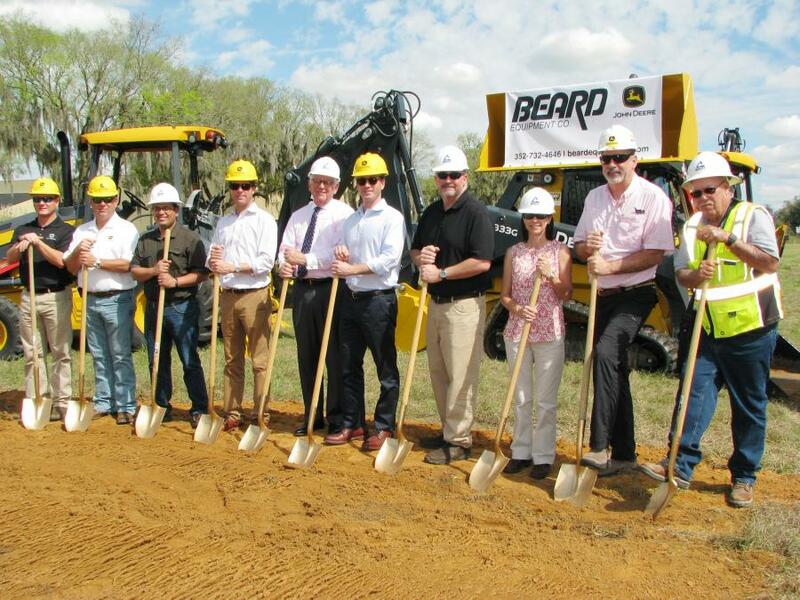 "Ocala is an important market for our company, and the investment in a new dealership represents Beard Equipment's long-term commitment to the area," said Drew Delaney, Beard Equipment Company's owner and president. "In 2020, we look forward to moving into the new facility while celebrating 50 years in business as a John Deere dealer." 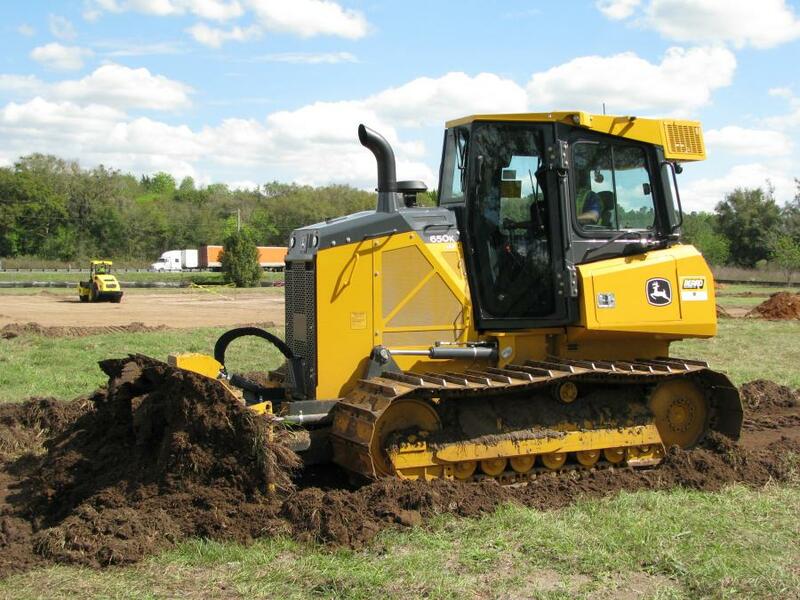 One of the first dozers dispatched to the site for earthmoving was a Deere 650K. 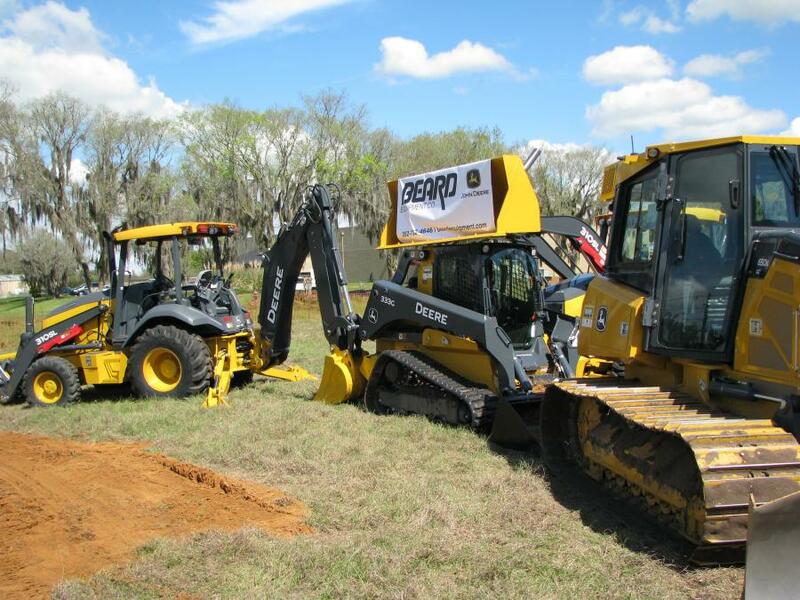 The new facility, which will replace the current, rented location at 7398 NW 44th Ave., will cover the central Florida area for John Deere construction and forestry products; central Florida, Tampa, Orlando, Fort Myers and Miami for Leica Geosystems; and Ocala, Tampa, Orlando, Jacksonville, and Tallahassee for John Deere Golf. It will have 12 full-service bays, a track shop for the undercarriage needs of all makes of dozers and excavators, a full Leica Geosystems service center and a training facility for both customers and staff. The parts department will have approximately 10,000 sq. ft. and, when combined with John Deere depots, will provide customers with 98 percent next-day parts fulfillment. Staff will increase from 26 to 35 or more full-time employees. "We are excited about this investment in Ocala for both our employees and our customers," said owner and Chief Operating Officer John A. Dodson. "The modern facility, upgraded tooling and new technologies will enable us to capitalize on efficiencies and increase our ability to deliver best in class customer support. We are eager to get this project under way and further demonstrate our commitment to our employees and customers in the Ocala and surrounding areas." 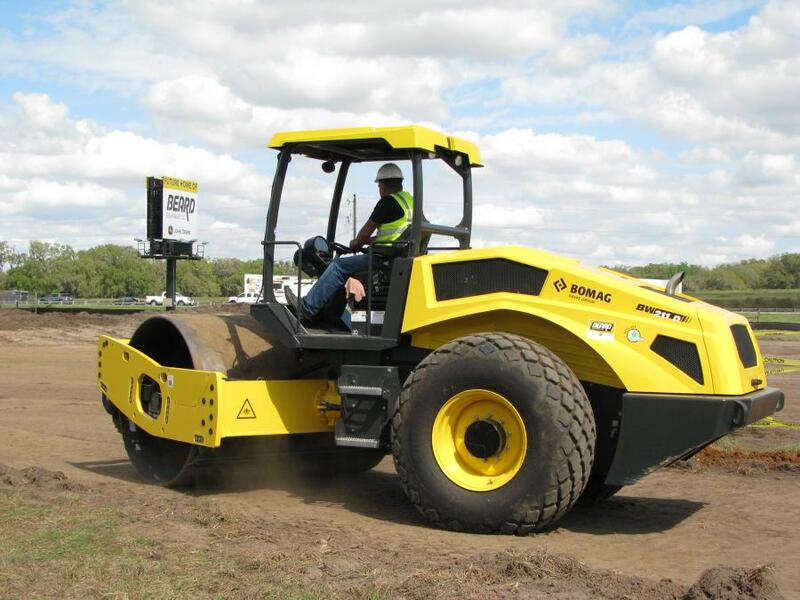 Salser Construction's Bomag BW211D begins on compaction for the building pad. Beard Equipment Company was founded in 1970 in Pensacola, Fla., and since then has grown to 10 locations. In addition to its home office in Mobile, Ala., Beard has Florida branches in Pensacola, Freeport, Panama City, Tallahassee, Perry, Lake City, Palatka, Ocala and Jacksonville. 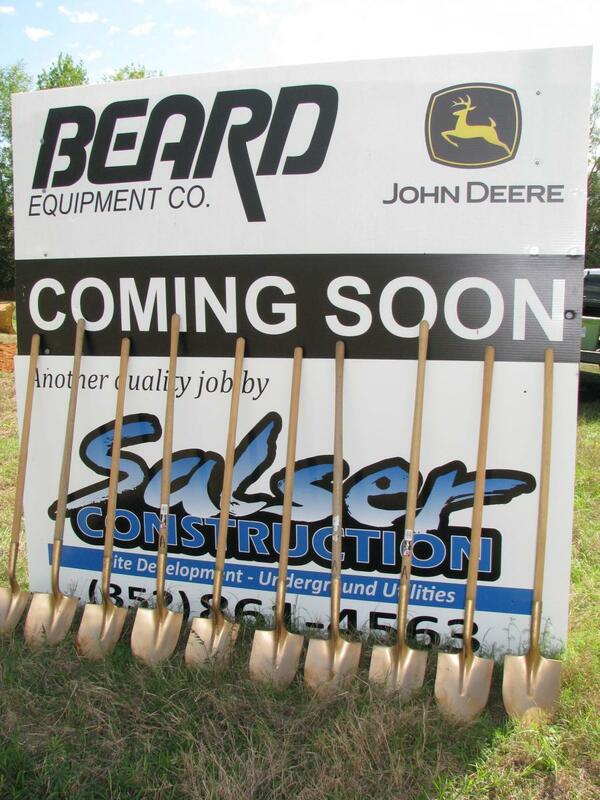 The Ocala branch was added in 2015 after Beard acquired Highland Tractor Company. Three generations of the Beard family have operated the business over the last 49 years, and the family approach to customers and employees is the key ingredient to their success. Today, more than 300 Beard employees serve customers across its equipment divisions, all linked by one common goal — focusing on their customers and their equipment needs. For more information, visit beardequipment.com.